In 1999/2000 thirty (30) class 67 diesel electric locomotives were built in Spain by Alstom. The locomotives were built as a sub-contract for General Motors being their class No.JT42 HW-HS. Nos.67005 and 67006 were allocated for use as Royal Train engines. 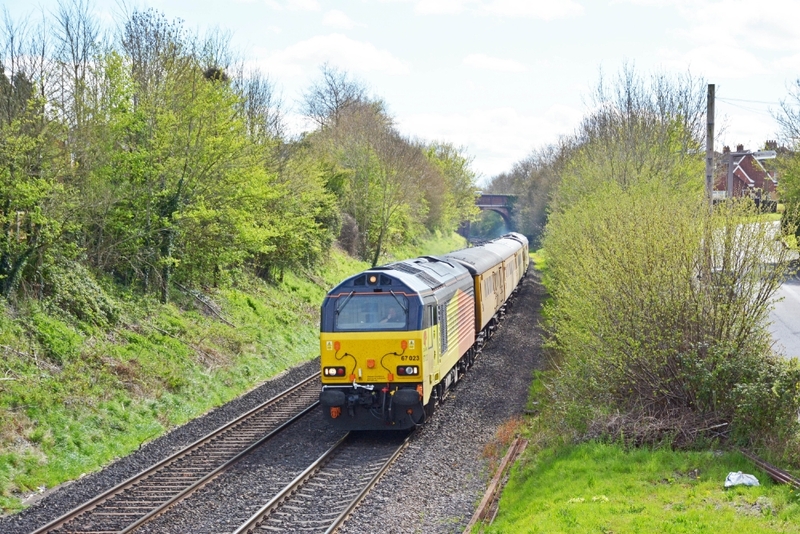 The class 67s made occasional visits to Worcestershire usually with special trains although early in 2011 a class 67 was based at Stourbridge for crew training duties prior to the use of the locomotives on Chiltern Railways services. 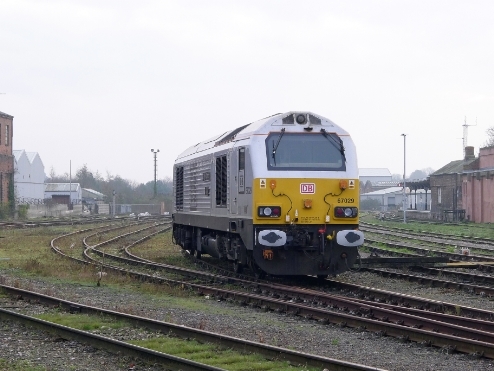 On 18th March 2011 no less than three class 67 locomotives were stabled at Worcester after working special trains carrying horse racing supporters from London to the Gold Cup meeting at Cheltenham. No.67028 had charge of the VSOE charter train whilst No.67005 (just visible on the right of the top photograph) and No.67003 had charge of the Pullman Train set. Photographs taken by Andrew Smith. 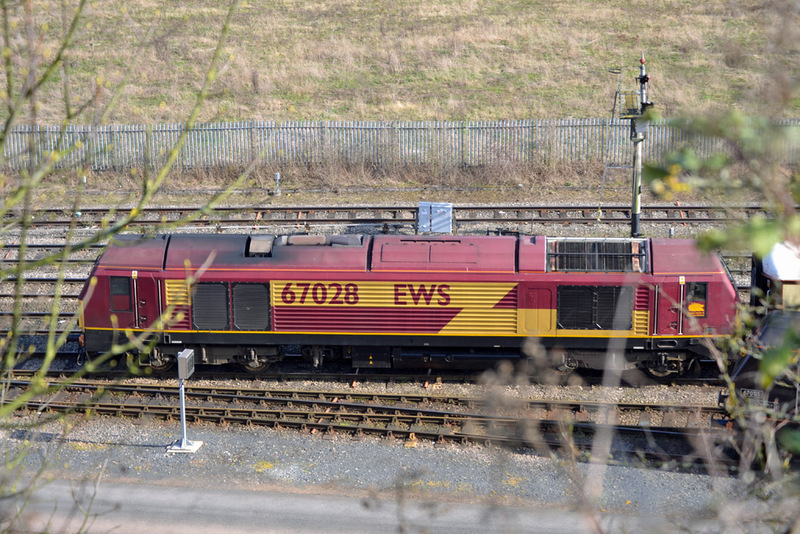 A pair of DB Schenker class 67 diesel locomotives (No.67005 'Queen's Messenger' in Royal Train livery and EWS livery No.67022) bring the 1Z80 Gloucester to Carlisle and return excursion off the connecting line between Abbotswood and Norton Junctions. Photograph taken by Robert Cooke on 21st May 2011. The motive power for an early morning special train to Scarborough on Saturday 17th December 2016 was Class 67 diesel locomotive No.67029 'Royal Diamond' (to Kidderminster), and Class 52 No.D1015 beyond. 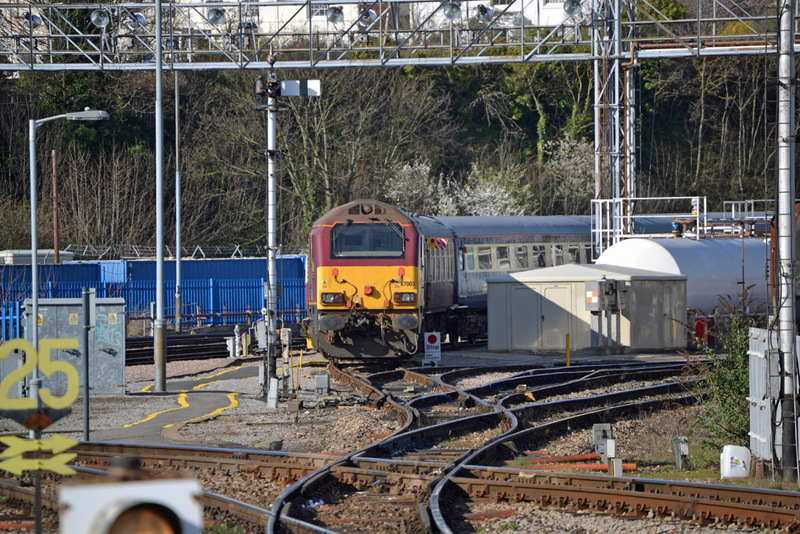 The class 67 returned to Worcester to stable and was visible behind Shrub Hill Station as seen in this photograph taken by Robert Pritchard. 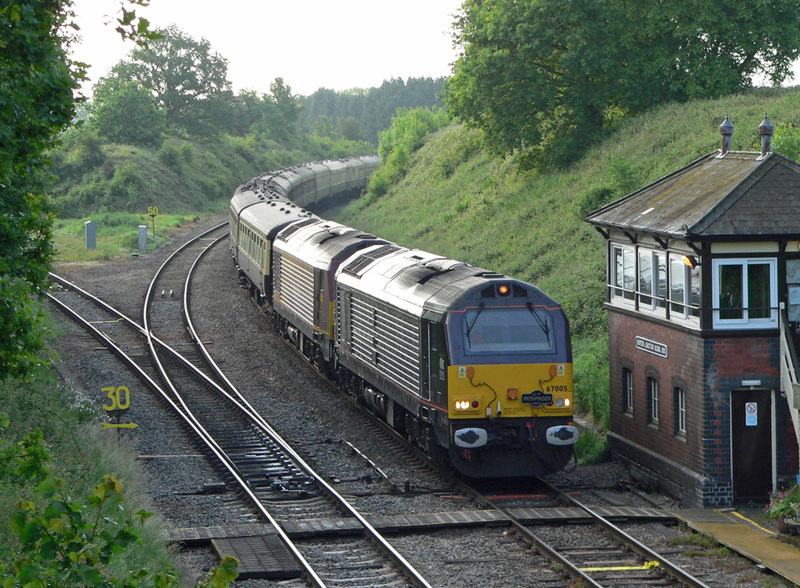 Class 67 diesel locomotives No.67023 and 67027 with the Reading to Derby New Measurement Train at Spetchley. Photograph taken by Robert Pritchard on 31st March 2017.